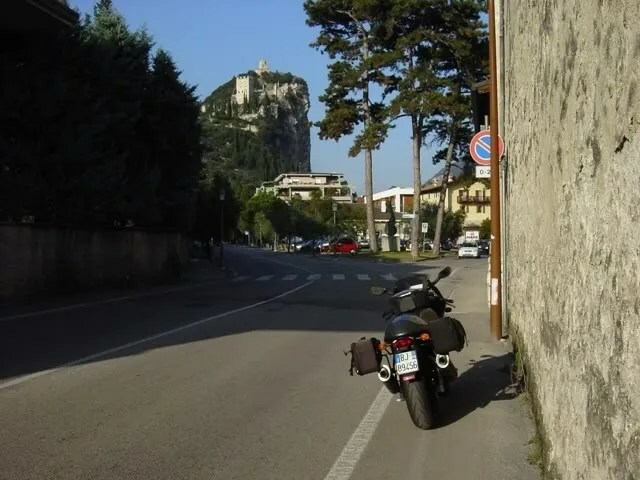 team orson managed to get one last ride in before winter’s icey tendrils gripped the Italian landscape. We decided to stay close to home and explore the Italian Lake district in the foothills of the Alps. 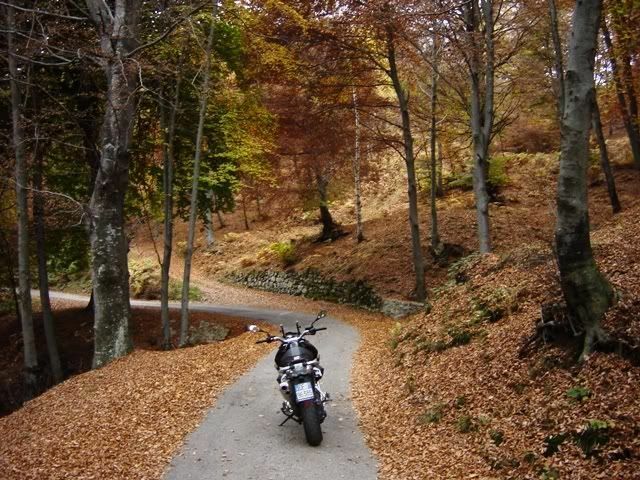 After retrieving my Guzzi from Moto Guareschi in Parma, we made our way north via the backroads under sunny blue skies. The first lake encountered would be Lake Garda. The southern end of the lake is a bit touristy, including the kitschy Gardaland, an italian takeoff on Disneyland. However, once you head north along the lake shore, you encounter many quaint villages, some with their own medievel castles. 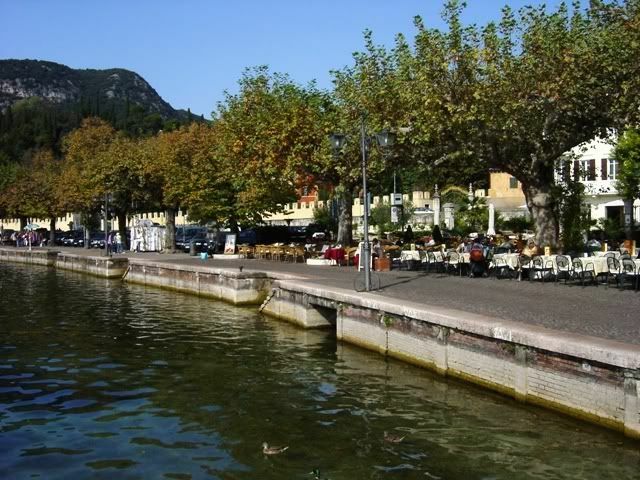 Stopping for a leisurely lunch at the town of Garda on the east side of the lake. Climbing up into the hills that surround the lake provide a better view. At the north end of the lake, in the town of Arco, stands the imposing 12th century Castello di Arco. 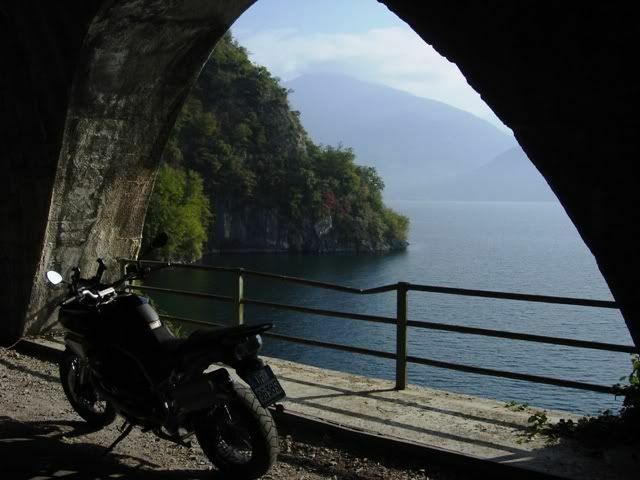 Heading south on the western shore of Lake Garda, the road spends half the time cutting thru tunnels due to the steep cliffs. 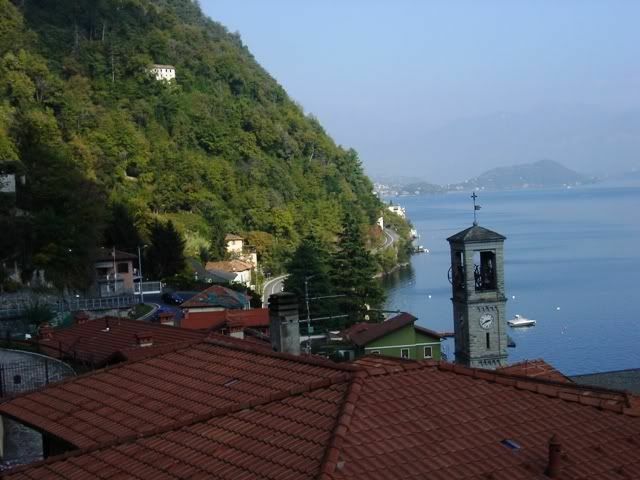 The plan had been to head west towards Lake Como. 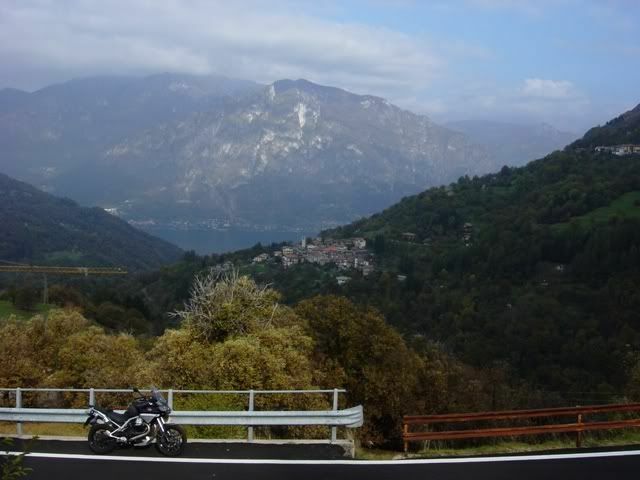 However, at a gas stop in the town of Storo, just west of Lake Garda, the Goose began running on one cylinder. Fortunately, there was a car/motorcycle garage right across the street. The mechanic couldn’t do anything for me, but offered to load up the bike in his truck and take me to the Guzzi dealer in Rovereto. Returning me and my Guzzi to Parma in his van, and seeing the next day was a Sunday, he kindly offered me the use of his new Moto Guzzi Stelvio. Top bloke. I stayed in Parma the night before continuing my vacation the following day. 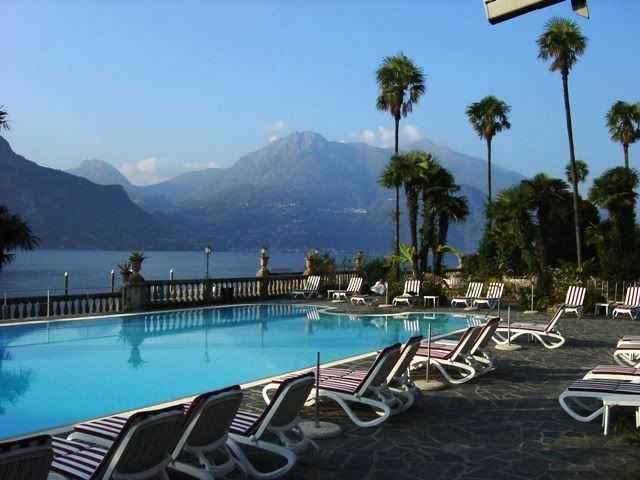 Lake Como is shaped like an upside down Y with the idyllic town of Bellagio at the tip of a peninsula where the Y comes together. 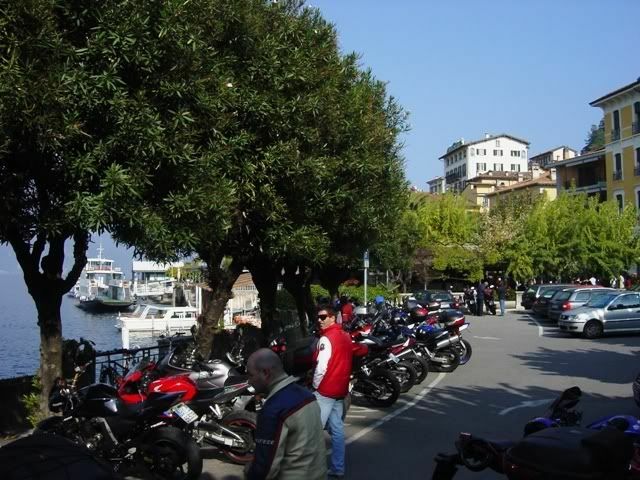 I arrived on a Sunday afternoon and Bellagio was bustling wth day trippers from Milan, including a wide assortment of bikers. I also saw quite a noticeable contingent of Harley riders. Not the wannabe badasses seen in North America. These were the style with the wide beach bars. I call them George Clooney clones, as Mr. Clooney has been known to partake on the Lake Como roads on his Harley from his nearby villa. The following morning, I hop on one of the numerous ferries to Menaggio on the western shore. Looking back at Bellagio off the ferry stern, the good weather was still staying with me. I follow the old road north along the lake. 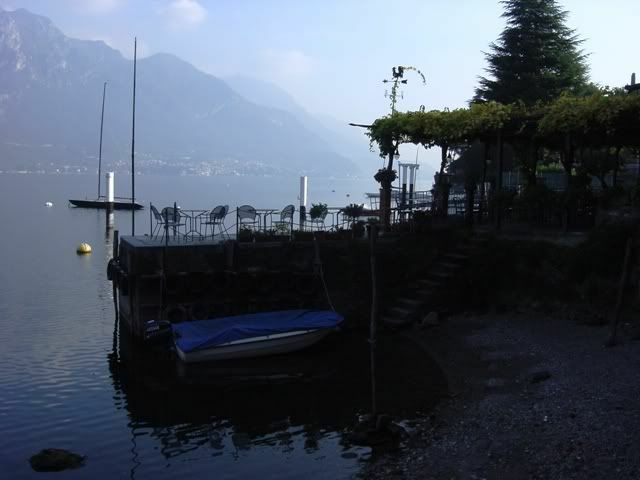 From Menaggio, I continue west to Lake Lugano. 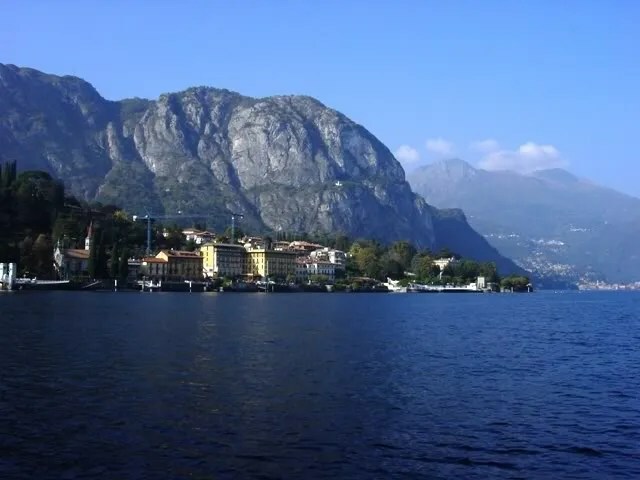 Italy shares Lake Lugano with Switzerland, however, wanting to avoid border crossing delays and snooty Swiss border guards, I decide to stay in Italy. 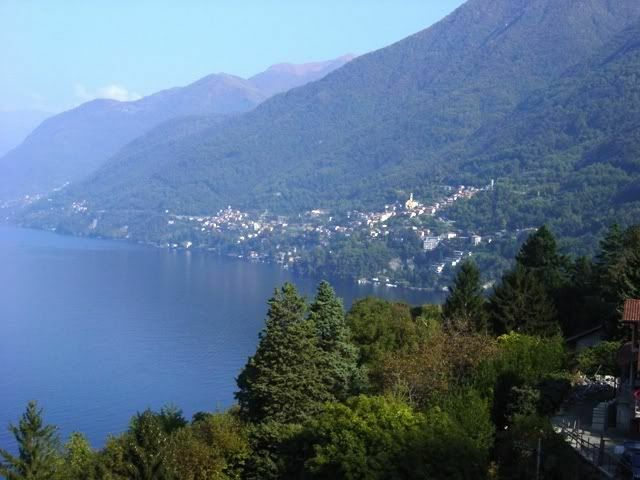 I trace the southern shore of Lake Lugano before heading south into the hills between Lake Lugano & Lake Como. October is a wonderful time to visit Italy. Most of the tourists have gone home, leaving the roads and the sites relatively traffic free. A soft, autumnal light caresses the landscape giving everything a portrait quality. 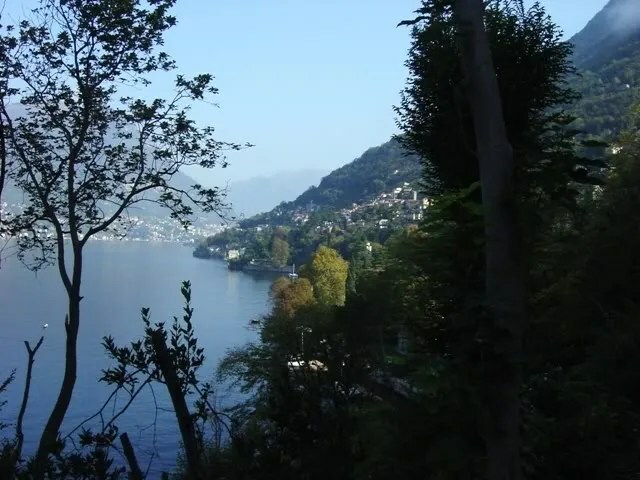 Climbing the road into the hills with Lake Lugano in the background. Tiny villages cling to mountainsides. The further I got into the hills, the narrower, the road became. It was probably a good thing I was on the Stelvio, as the road became a veritable goat path. After about 20 kilometers of this, I finally made it over the ridgeline and began decending with Lake Como stretching out below me. 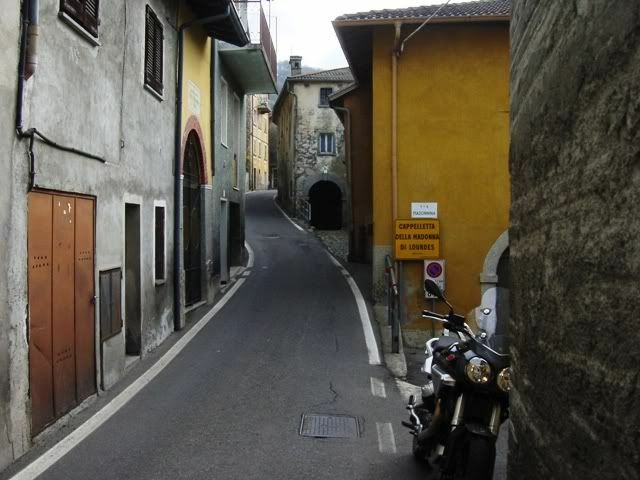 Typical narrow streets encountered in the small mountain villages. Yes, trucks and busses pass this way. With the sun sinking in the west, I tried to capture an image of the steep Lake Como hillside near the town of Pigra. Apologies for the poor lighting. 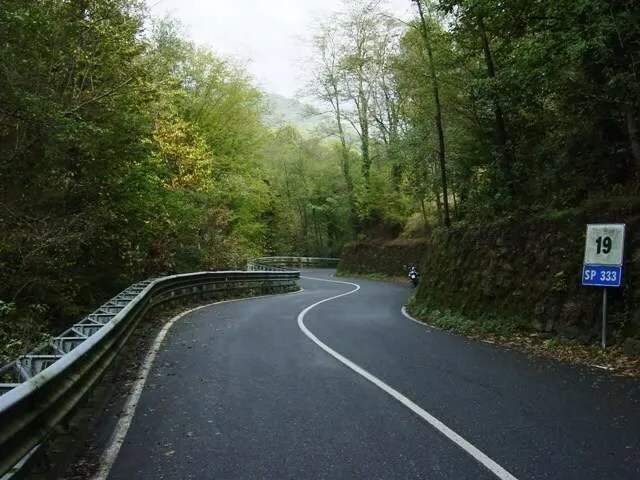 This was the best shot I could get of the road that clings to the lake shore near the town of Argegno. 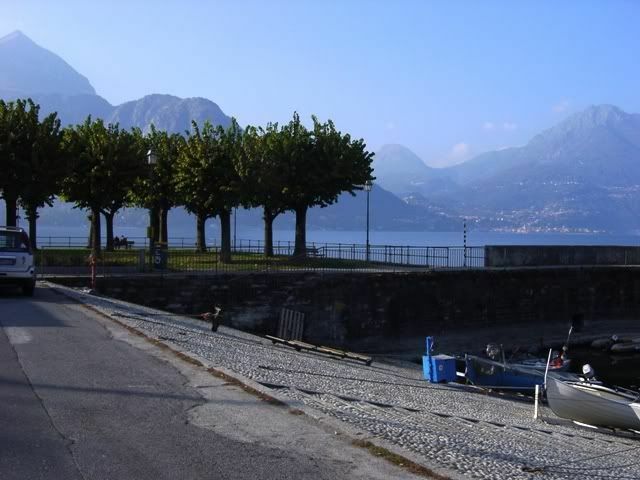 Making my way back to Menaggio, it’s late afternoon by the time I hop on a ferry back to my hotel in Bellagio. Approaching Bellagio on the ferry. 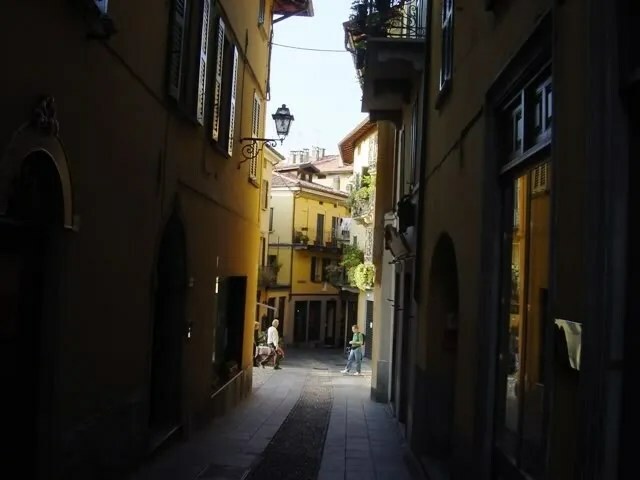 Narrow shopping street in Bellagio. 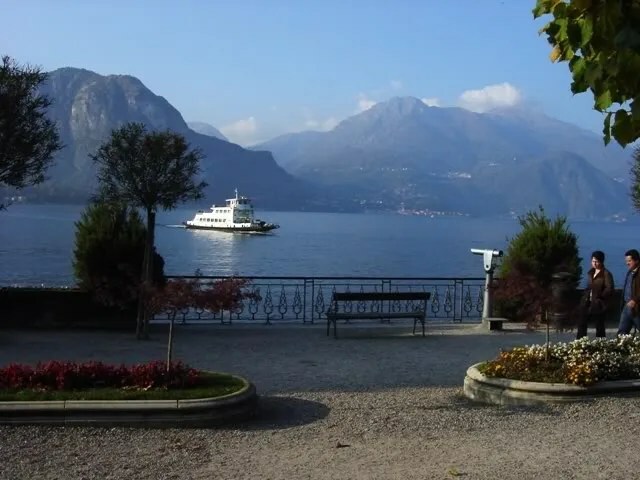 A park and a weir at the tip of the Bellagio peninsula looking west towards Menaggio. 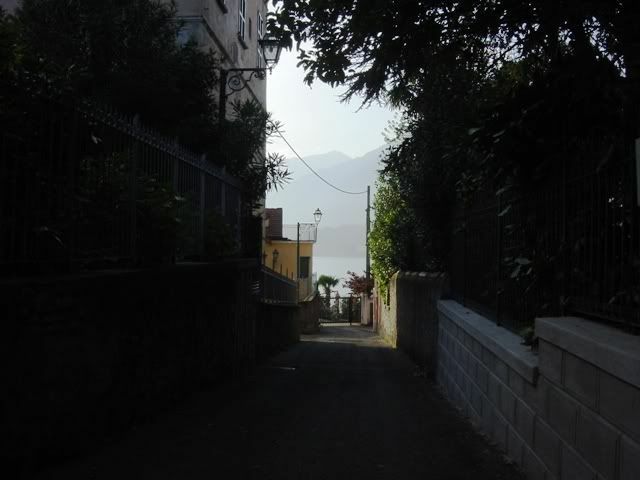 Another narrow alleyway opens up onto a view of the lake. 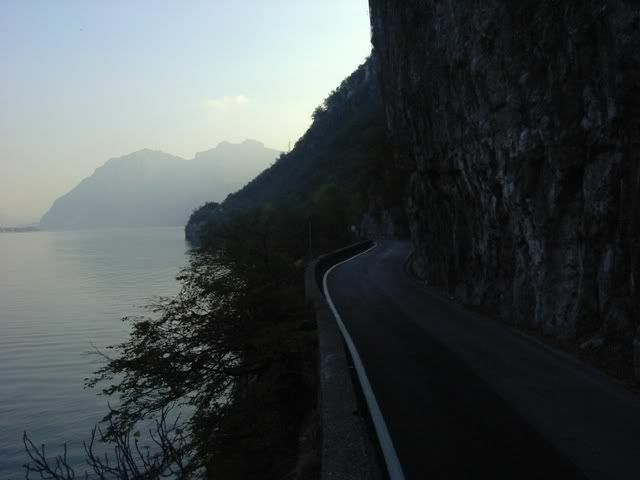 I head south towards Lecco at dusk to capture the image of the road carved from rock. Apologies for the poor lighting. The ever-suffering team orson photographer continues to whine that he can’t work with inferior equipment. 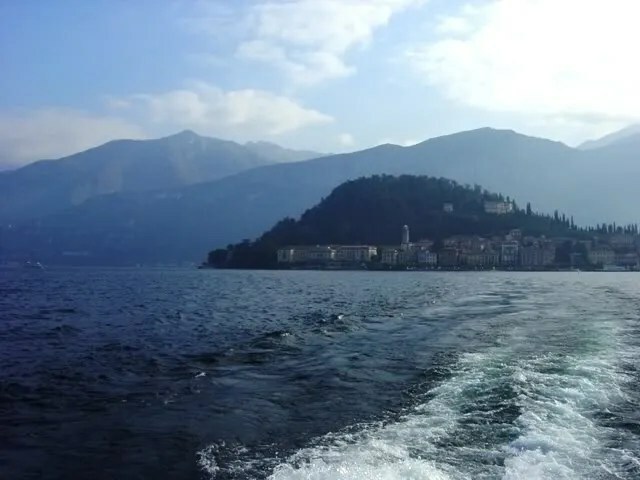 Another ferry approaches Bellagio. The ferry service is quite efficient as I never had to wait more than 15 minutes to catch one. 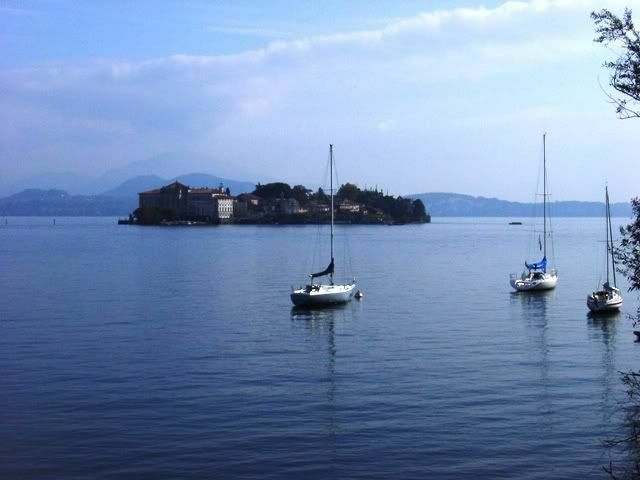 The Italians love for speed is evident in the super cool hydrofoils that ply the lakes. Disclaimer: team orson regrets having to post these images of rampant hedonism. It is hoped that by publishing these images, we can better understand the mindset of the hedonist. 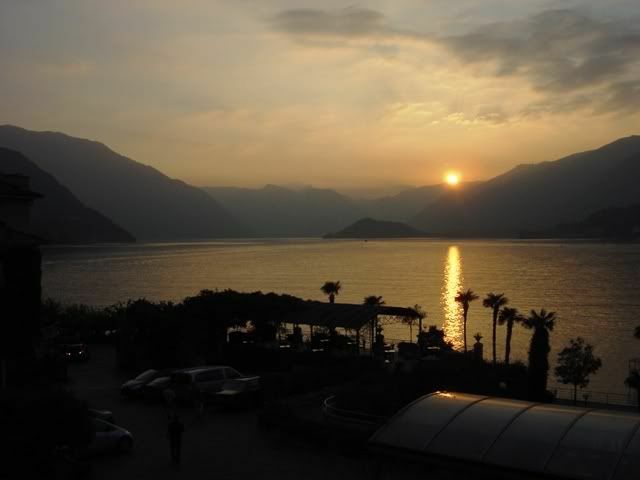 Sunset over Lake Como from the hotel balcony. Watching the news, it is evident that an imminent cold front is approaching from northern Europe and bringing rain with it. team orson is forced to make an executive decision and drop down south to a defensive line along the Ligurian coast. The next morning still has blue skies, so we make time for a quick dash eastward via Varese, skirting Lake Varese to the Lake Maggiore ferry crossing at Laveno. 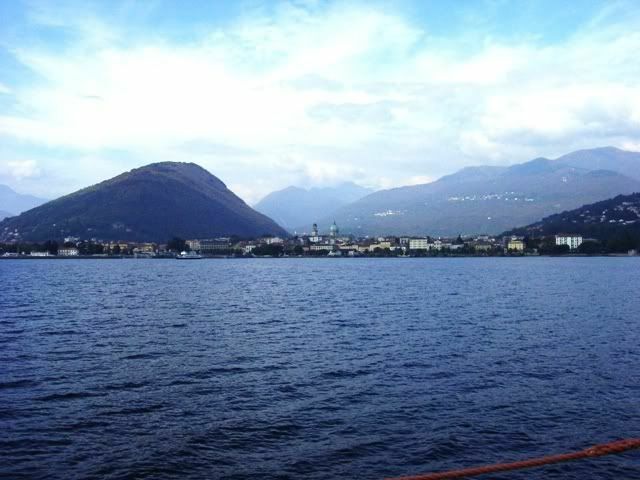 Crossing Lake Maggiore looking towards Verbania on the opposite shore. 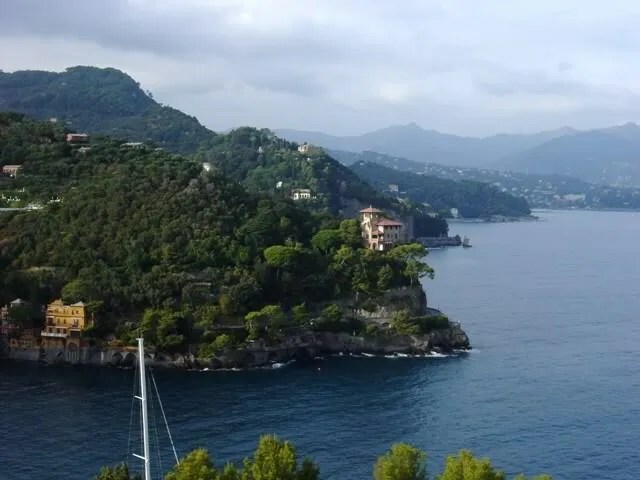 Staying ahead of the cold front, we follow the western shore of the lake heading southwards to Arona, before jumping onto la autostrada for a quick 3 hour dash to the Ligurian coast. 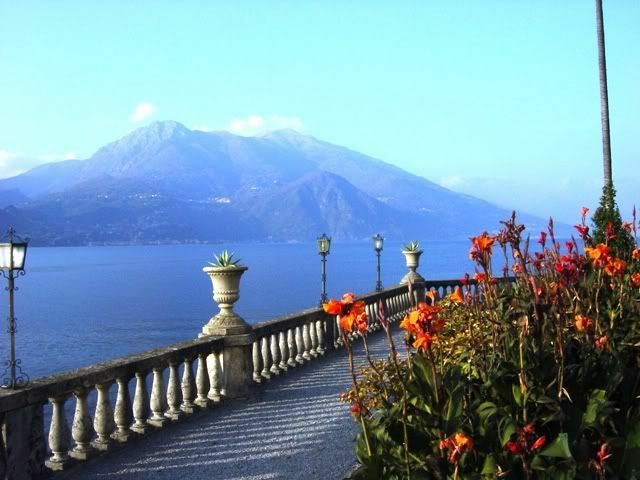 The Isola Borromee are a trio of islands that have ornate gardens and palaces built by the Borromee family since the 1650s. Regarding the Lake District as a motorcycling destination, in all honesty, the roads aren’t conducive to sport riding. 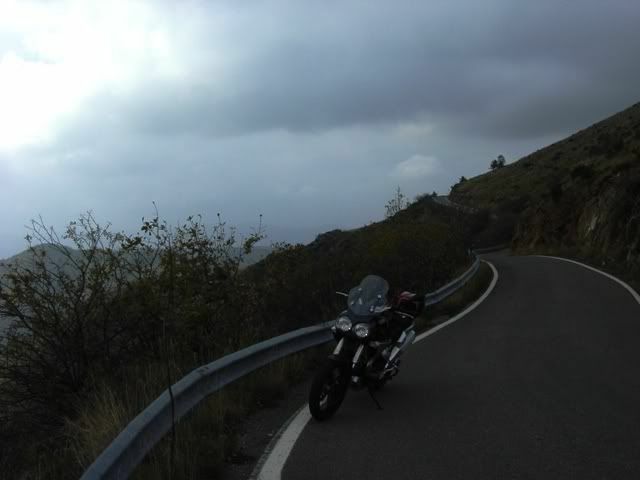 The roads are very twisty with lots of traffic and few places to pass, even for a motorcycle. 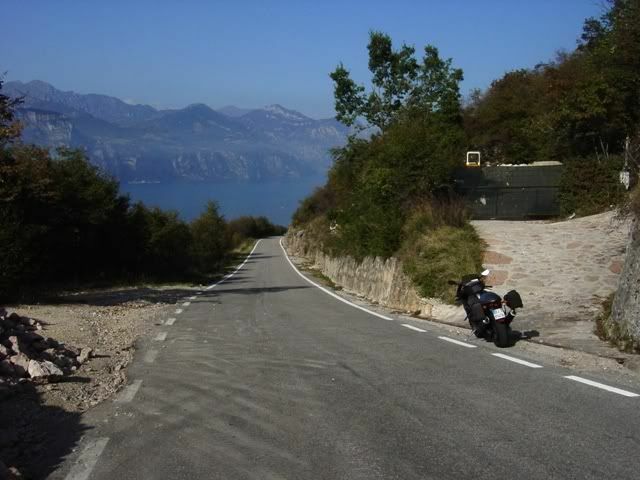 There are few roads inland from the lakes, as the mountain terrain is so steep. Mr. Clooney’s idea of cruising around on a Harley make more sense. If you can’t go fast, you may as well go slow and enjoy the lush views. 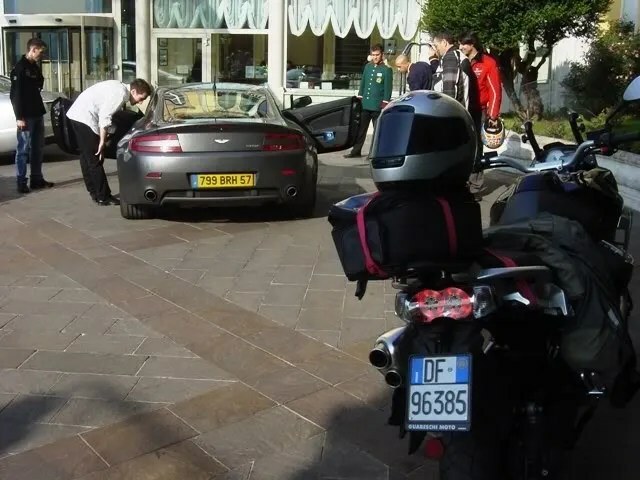 I have to say…Gawd, I love Italian riding. Motorcycles can get away with anything short of murder and cops just look the other way 🙂 You pass where you want, when you want and nobody honks at you. Solid white lines are meaningless. There were times when I would fall back into American riding, trundling along behind slower traffic, only to be buzzed by a sweet young thing on her moped. 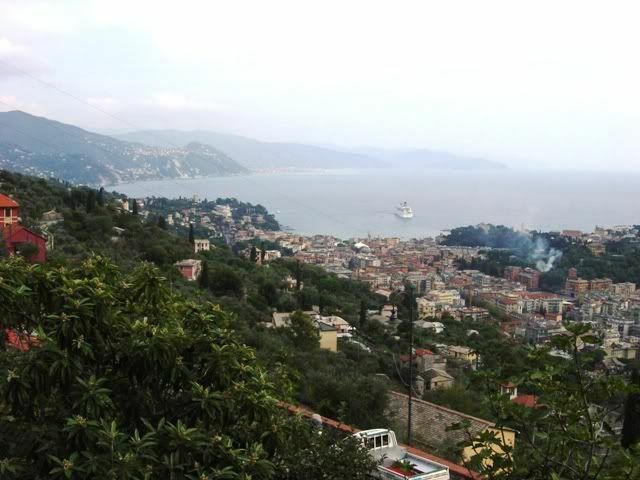 Approaching the coast overlooking the town of Santa Margherita. 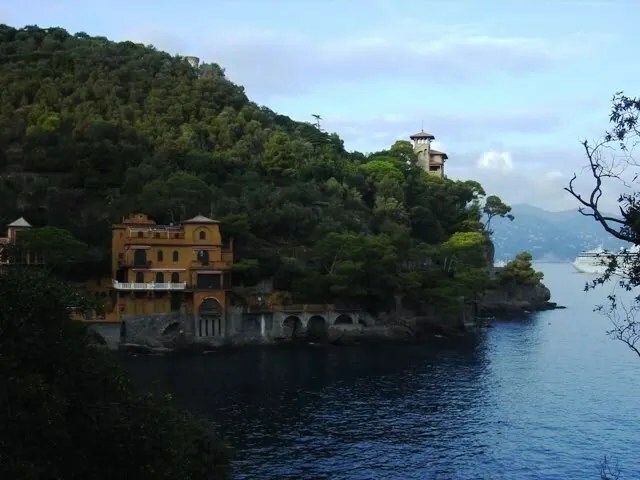 I decide to head for the quaint, if touristy village of Portofino and find a hotel that can make a martini. I strike paydirt, scoring a nice hotel near the mouth of the harbor. 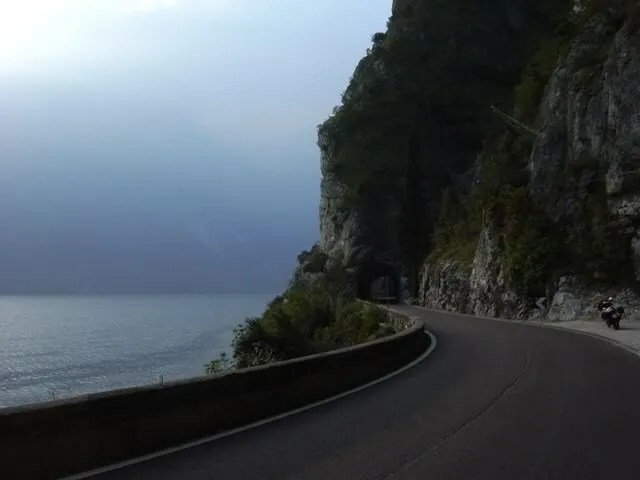 The road leading to Portofino. 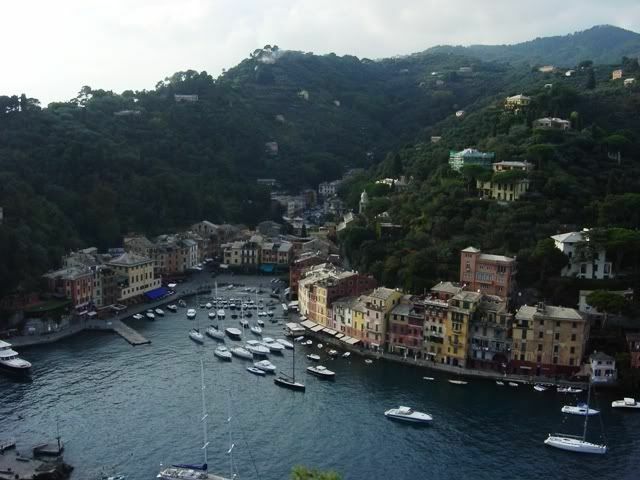 Last time I visited Portofino was in May of 2002 and I had gotten a bad vibe from the place from the rampant tourism. In October, it was a different story. With the throngs of tourists gone, you could almost squint and imagine what a lovely place it once was. My plan to escape the rain had worked, as I had awoken to overcast skies, but no rain. 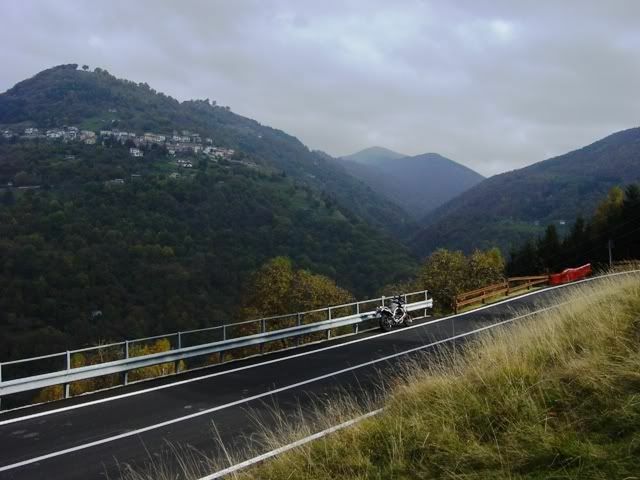 After the funfilled supermotard track of the previous day, I decided to head up into the Ligurian hills and explore. 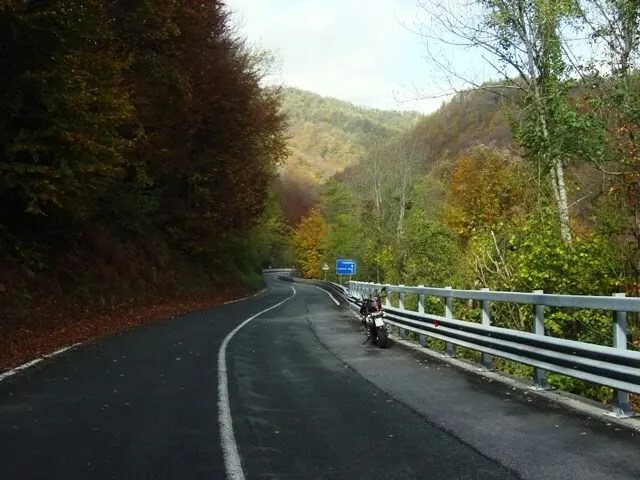 I was finally encountering some motorbike worthy roads. The final day on the road dawned with cloudy skies yet again, but the clouds had yet to unleash their damp revenge. After a leisurely breakfast with one last dossage of Italian cappuccinos, I head towards Parma across the autumn-hued Appenine range. Mileage: uhmmm…I lost track. Maybe close to 2000 km in 8 days.